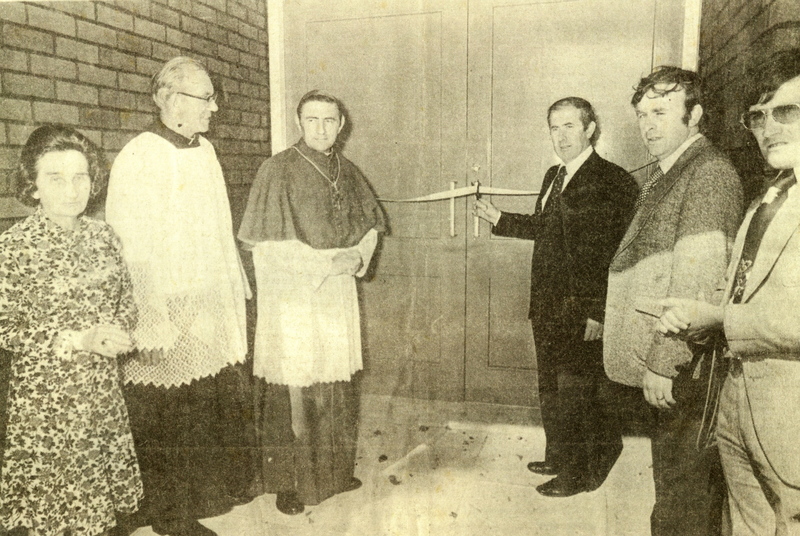 In 1959 Dr. Lucey, Bishop of Cork and Ross and Canon Fitzgerald, Parish Priest of Ballinlough bought the property and had it converted into a school. A local newspaper at the time printed an article stating that it was ‘the most expensive piece of land in Cork.’It was opened as a school on the 1st of July, 1959 and 180 pupils were enrolled that day. 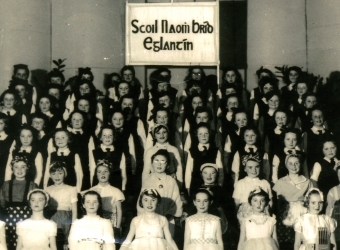 The school had four teachers, Mrs. Corkery (principal), Mrs. U. Hurley, Mrs. Joan Keating and Mrs. O’Neill. By 1962 the school had ten teachers. 365 girls and 114 boys attended. 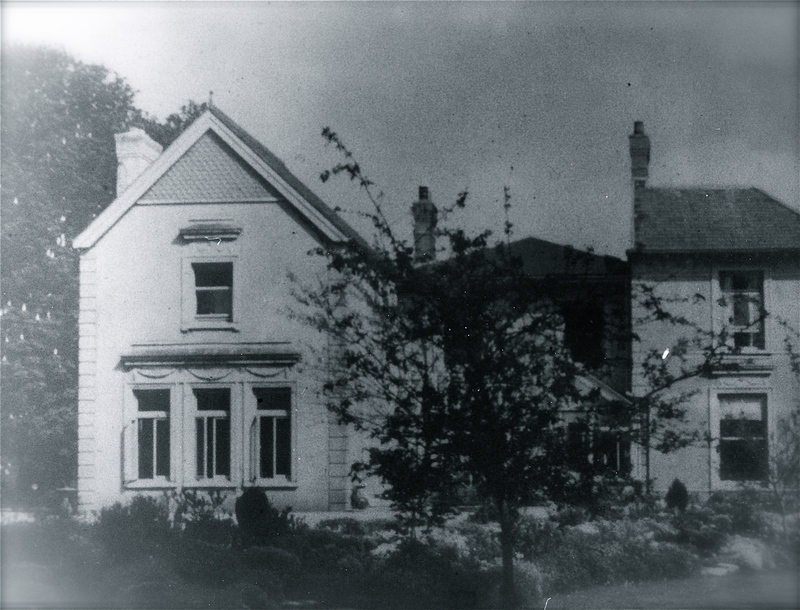 As more classrooms were needed the stables were converted and in 1956 a double prefab was erected.In 1976 Eglantine House was demolished and a new school was built. 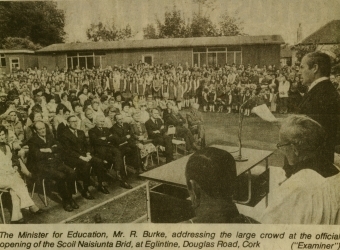 This school was opened by the Minister for Education, Mr. Burke on September 9th, 1976. 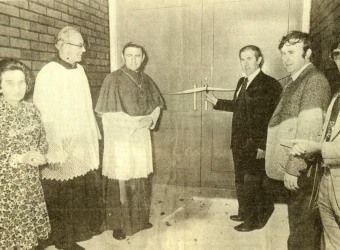 Four extra classrooms were added to the school in 1986.The latest extension was opened by Minister Micheál Martin in November 1998. This consisted of four new classrooms, a new computer room and also refurbishment to some of the existing classrooms. The school now has approximately 600 pupils, 29 teachers and the principal is Mr. Eoin Kennedy. 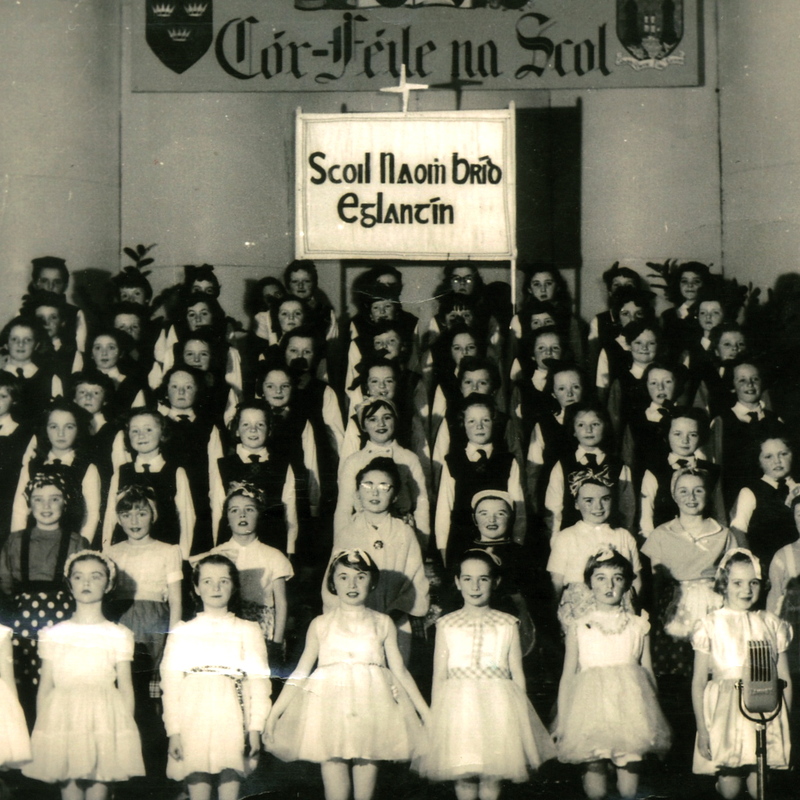 Read all about our 50th anniversary celebrations including President Mary McAleese’s visit! Eglantine is a common name for a shrub also known as a sweet briar.